Penn GSE Dean Pam Grossman announced today the launch of a new school-wide center – HEARD: The Hub for Equity, Anti-Oppression, Research, and Development. HEARD’s goal is to draw together members of our community committed to equity and anti-oppression scholarship, and to provide opportunities for continuing learning. Issues of race and diversity have long been important to Penn GSE, and research around these topics cuts across the school with multiple faculty members, staff, and students tackling issues of racial literacy, systemic racism, gender equity, and linguistic diversity from different disciplinary perspectives. Drs. 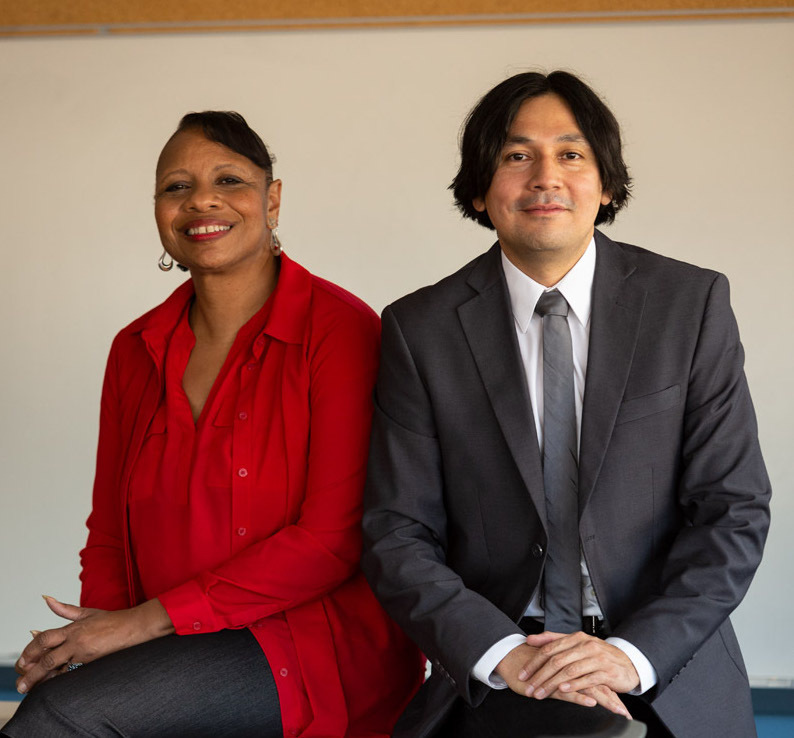 Jessie Harper and Manuel S. González Canché have agreed to serve as inaugural directors. Drs. Jessie Harper and Manuel González Canché. The center includes the study of anti-oppression more broadly and welcomes Penn GSE students, faculty, and staff who are interested in various anti-oppression topics. To provide opportunities for interaction around these topics, HEARD is launching reading groups, grant writing seminars, quantitative and qualitative certificate programs, and extra-discussion/interaction time with Visiting Faculty Scholars of Color. A dedicated space for the center has been opened in Solomon B51, where community members are invited to use the resource library (in development) or computer. More information about center activities will be announced shortly. Interested staff, faculty, and students can follow the center @HEARDatPennGSE or email at HEARDUPenn@upenn.edu.